Breaking news, you guys! Something really important happened in your industry. Or in an industry tangentially related to yours. Or ... somewhere in the world ... completely unrelated to your industry. If you found an opportunity to write a blog post , launch a social media campaign, get press coverage, or generate some sort of sales or lead gen offer in all of those scenarios, then you're a newsjacker -- and that's a great thing to be as an inbound marketer! 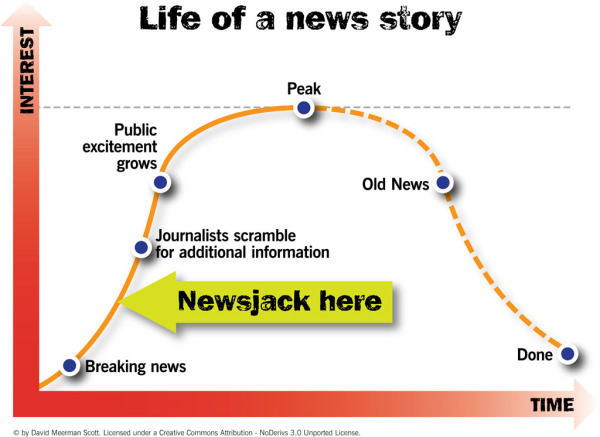 If you haven't heard of newsjacking before, well then this is the blog post for you. Without further ado, let's break down what newsjacking is, why every inbound marketer should be doing it, and exactly how you can do it yourself! Makes sense, right? It's why we at HubSpot write blog posts when Google makes an algorithm update or, most recently, changes to the way they display search results . If people are going to be talking about it, and it affects our audience, we should be writing about it and getting in on the action! But it extends beyond just news directly related to your industry. Scott explains the concept of newsjacking stories that aren't directly related to your business in his book with a Kate Winslet example. That's right, I'm working Kate Winslet into this blog post. You may or may not remember, but last year Kate Winslet was staying with Sir Richard Branson at a private retreat in the British Virgin Islands when lightning struck the home, setting it on fire. Branson's elderly mother was in the home, and Winslet carried her out of the fire to safety. Pretty amazing, right? News outlets certainly thought so, and the story was picked up worldwide. But you know who else thought it was amazing? The London Fire Brigade who, within a few hours of the story's release, wrote a story for their website in which they offered Winslet a chance to train with their firefighters at their local training center. They let reporters in on their offer, and with little or no money the London Fire Brigade had tons of site traffic, inbound links, and media exposure to do with as they pleased. And that, my friends, is newsjacking ! Here's the thing about newsjacking ... to do it well, you have to be quick. That's also one of the biggest benefits of newsjacking! Marketers often get so caught up in the details of a campaign or bogged down by the prospect of writing a blog post that they become paralyzed, and don't actually end up doing anything at all. Newsjacking requires marketers to, in the immortal words of Nike, just do it . 1) Google released the Knowledge Graph, and a coworker who knew my penchant for newsjacking immediately sent me a link to the story. 2) I quickly wrote a blog post about the Knowledge Graph , explaining what inbound marketers should know about the new release and its impact on organic search results. 3) The post generated double digit inbound links, and improved our organic search rankings -- especially for queries related to Google's Knowledge Graph, as Google's algorithm rewards websites who publish content about news stories quickly since their freshness update late last fall. 4) The post has also driven thousands of visitors to our blog and main website, due to not just the organic search visibility we gained from writing the content, but because of the hundreds of social shares the post received, too. After all, everyone wants to be the first to break industry news on Twitter, Facebook, LinkedIn, and Google+! 5) Because we always include calls-to-action in our blog posts, newsjacking this story also generated leads for our sales organization, some of which will convert into future HubSpot customers. Plus, we know exactly what to talk about with those leads when we nurture them and speak to them on the phone -- SEO and the Knowledge Graph! 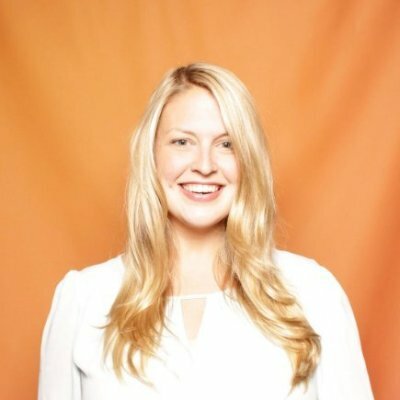 6) HubSpot's credibility increases as we prove to our audience that we will always stay up to date on important industry news and teach them what they need to know to be great inbound marketers . Convinced that newsjacking is something you should incorporate into your inbound marketing repertoire? This next section will tell you how! You're about to learn how to newsjack, and it might look like a lot of steps. Don't be intimidated! Newsjacking is a pretty simple process, and remember -- the key to doing it successfully is thinking and acting fast. So while I've broken this out into many steps to make it easier to digest, when you do this for yourself for the first time, you'll see just how swiftly you move through the process. To find stories to newsjack, you have to constantly monitor the news. You could spend the entire day reading the internet, or you could use technology to make monitoring much easier and less time consuming! I'm assuming you prefer the latter ;-) Set up an RSS feed that includes major news outlets as well as industry publications that will alert you to both natural and out-of-the-box opportunities. And don't forget about leveraging social media, particularly Twitter, as a means of stumbling upon newsjacking opportunities. 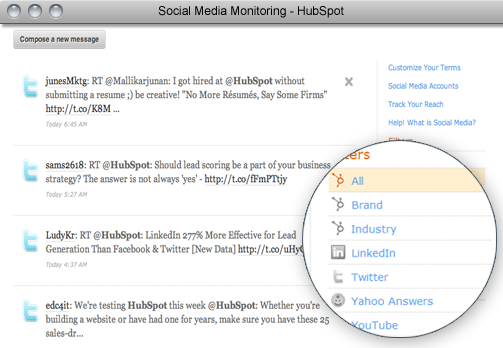 We use our own social media monitoring tool to set up mentions of terms we'd like to monitor for, and perhaps newsjack! Once you find a story you'd like to newsjack, you'll need to create some content around it. Before you get writing, take a few moments to research the search volume around variations of the keyword phrase you'd like to target. Yes, Google's algorithm will reward you for writing about a news item first, but wouldn't you like to get that extra little organic boost because you chose to target a variation of your keyword phrase with higher search volume? For example, did you know that the phrase "what is the google panda update" has an approximate global monthly search of 14,800, while the phrase "google panda update explanation" has (gasp!) no search volume? That's a good piece of information to have when creating and optimizing your content, and all from just a few measley minutes of keyword research! I know, you want to get to the actual newsjacking already, right? One more thing before you start creating content and promoting! Find the primary source of the news story, and what others have already written about the news story. This is important for two reasons: it allows you to maintain originality, and credibility. Think about it this way -- if the London Fire Brigade offered their free fire training lessons to Kate Winslet a few hours after another group did the exact same thing, they'd look foolish and behind the times, not to mention their effort would be wasted. Similarly, if we had written a blog post explaining the Google Knowledge Graph based off of just one news outlet's understanding of the change, we could easily pass along incorrect information, or at the very least not present the entire scope of the story. Find the primary source, gauge what others have written, and get a firm grasp on the story before you proceed to the actual newsjacking. Now that you're well versed in the breaking story you're going to newsjack, get to writing ... and do it fast ! Usually when you write a blog post, you might spend time sifting through stock photography to find the best image to accompany the post. Or perhaps you experiment with formatting to see whether your list should be in bullet or number format. While we applaud your perfectionist nature, newsjacking is not the time for such things -- you want to be the first to respond to a news story, after all! As long as your content is accurate and has been read through once by a trusted colleague, the nitpicky things many of us typically do before publishing content should be reserved for later. You should always inject your own angle when you're newsjacking. Ask yourself -- what makes this story interesting to my audience, specifically? For example, a developer could newsjack the Google Knowledge Graph story by writing about how their algorithm was engineered, as opposed to writing about how it affects marketers and SEOs. Or maybe you're a tad late to the game and someone has already written your angle to the story. That doesn't mean you can't write it better -- perhaps you can be more thorough, more clear, or provide more meaningful examples. When you're newsjacking, you need to provide some reason for people to reference your content above all the other content out there! The last step to a successful newsjacking is actually marketing your marketing. Yes, you might get some natural traction from organic search , but that alone won't give you the power punch you wanted that made you newsjack in the first place. Let people know about your spin on the story! For example, we share all of our newsjacking content on our social networks to extend its reach. But we also foster long term relationships with partners and journalists who can help get the word out there when relevant. After all, others are always looking for juicy content to keep their web content flowing -- if you can be the one to offer them a unique story, you can bet they're going to give your newsjacking some coverage! 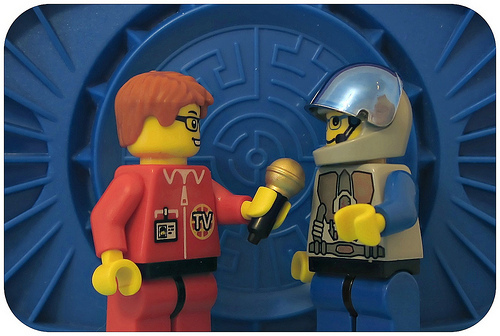 Do you already incorporate newsjacking into your inbound marketing strategy? Share your tips and tricks in the comments!